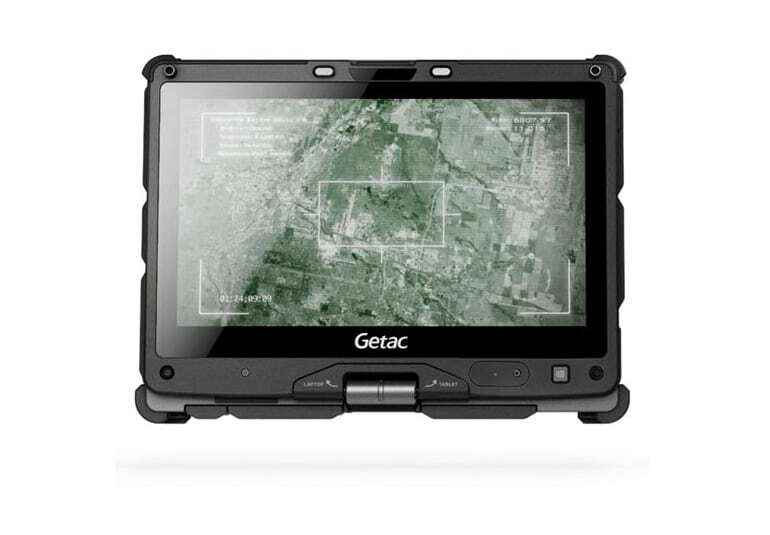 Since 1989, Getac (TWSE: 3005) has been providing rugged computing solutions for demanding professionals in extreme environments. 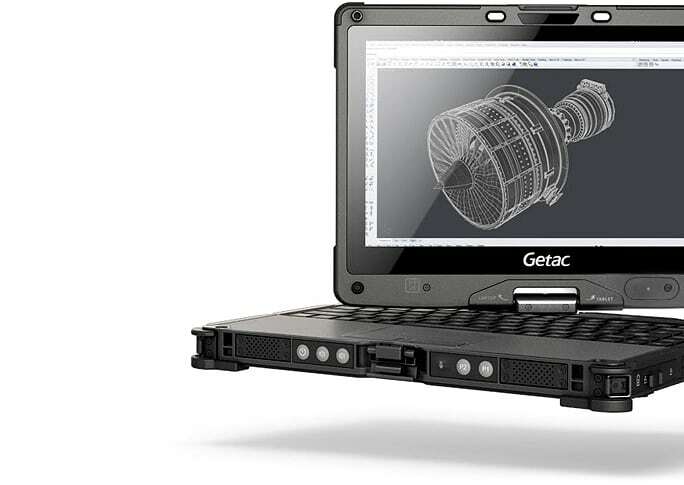 Getac was established as a joint venture with GE Aerospace to supply defence electronic products. 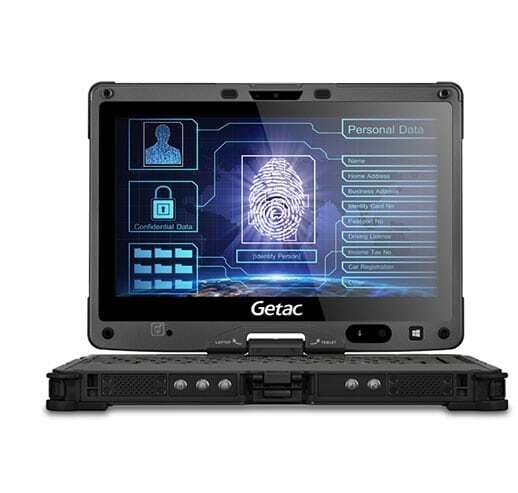 Getac is one of the key subsidiaries of the MiTAC-Synnex Group, the third largest computing group in Taiwan, with US$29 billion in revenues (2016). Our products have passed the most stringent international rugged testing standards for rough handling and outdoor mobility. as thin and light as ever – at 1.98kg light and 39mm thin. 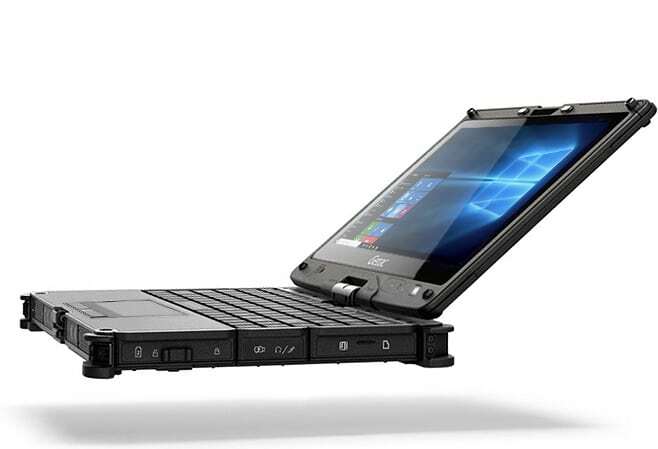 The V110 is built to perform, featuring a powerful 7th generation Intel® Core™ processor, flash storage and responsive graphics. It’s the fastest rugged convertible we’ve ever built. The V110 can be configured with either the latest Intel® Kaby Lake Core™ i5 or i7 processor, delivering an amazing level of CPU performance. 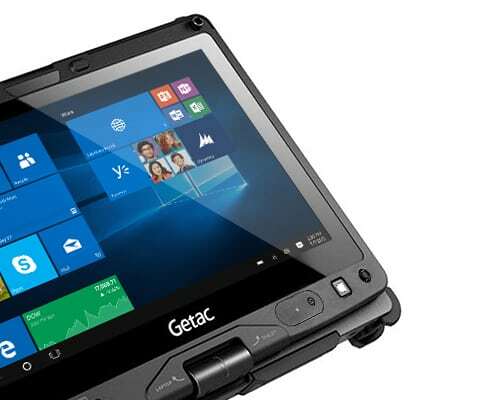 Getac’s F110 features the new Intel® HD Graphics 620 providing an unparalleled level of responsiveness and frame rate for both 3D graphics and video. 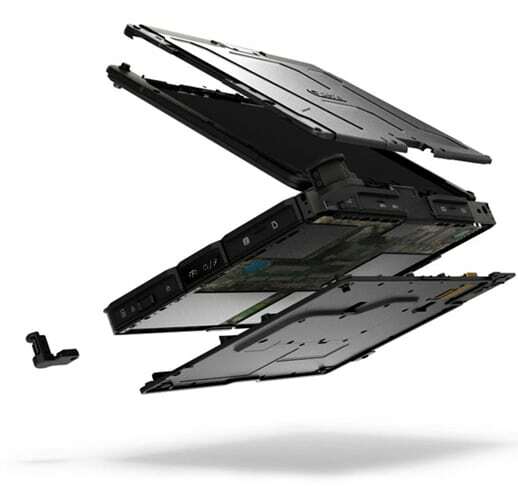 The V110 takes advantage of our revolutionary LumiBond® 2.0 touchscreen technology, which bonds the display glass with the touch panel and LCD, creating a single pane that is more durable and readable, and offers better contrast and more crisp colors than any other rugged laptop display. It features four advanced touch modes (Touch/Rain, Glove or Pen mode, plus an optional Digitizer mode), and the included hard-tip stylus enables you to capture signatures and take more precise notes on drawings, maps, or forms. The V110’s hardware fully supports Microsoft’s latest authentication tools, including Windows Hello and Microsoft Passport. upload speeds with fewer dropouts. 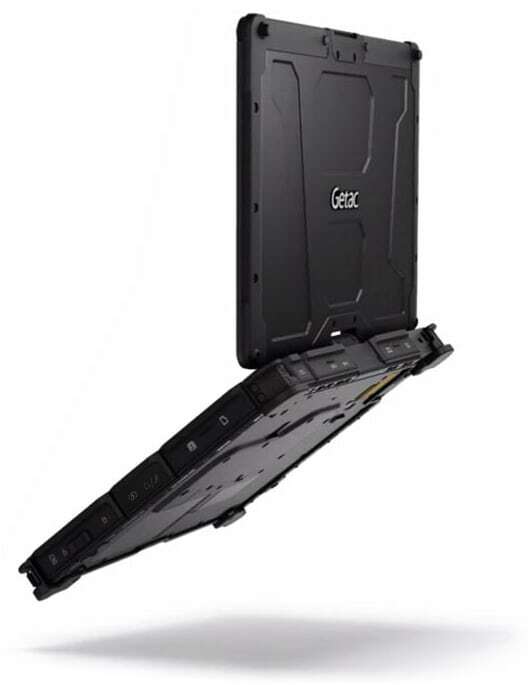 The V110 comes with a full-size, waterproof membrane keyboard. Its 88 standard-sized, island-style independent keys provide an unmatched premium feel and increased durability. 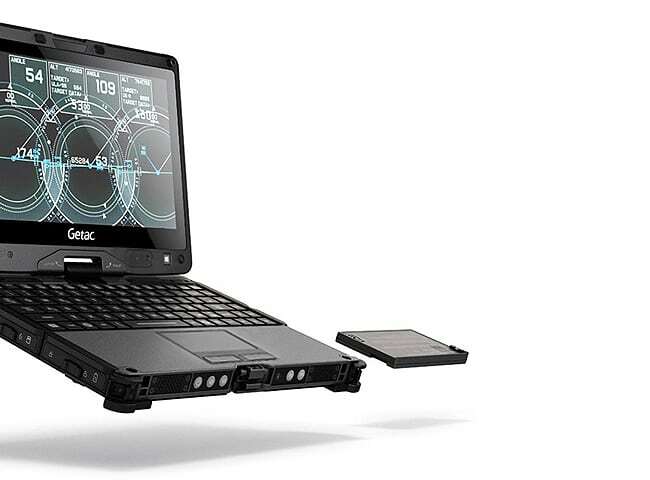 The V110’s keyboard is a full 56% larger than the Toughbook CF-19’s keyboard, so you can type the way you’re used to typing. And, the red backlight allows you to type in the dimmest conditions without silhouetting yourself. It also reduces eyestrain, which helps reduce fatigue. The V110 fully rugged convertible has been built using the highest quality materials to make it unflinchingly resilient. The V110’s main chassis structure is precision cast using Magnesium Alloy, an incredibly strong structural metal that also happens to be one of the lightest in the world for its strength. We combined that with an advanced rugged polymer in areas of less impact and rubberized absorption polymer at the main points of contact. The V110 has been independently tested and certified to MIL-STD-810G, IP65 and MIL-STD461G standards.